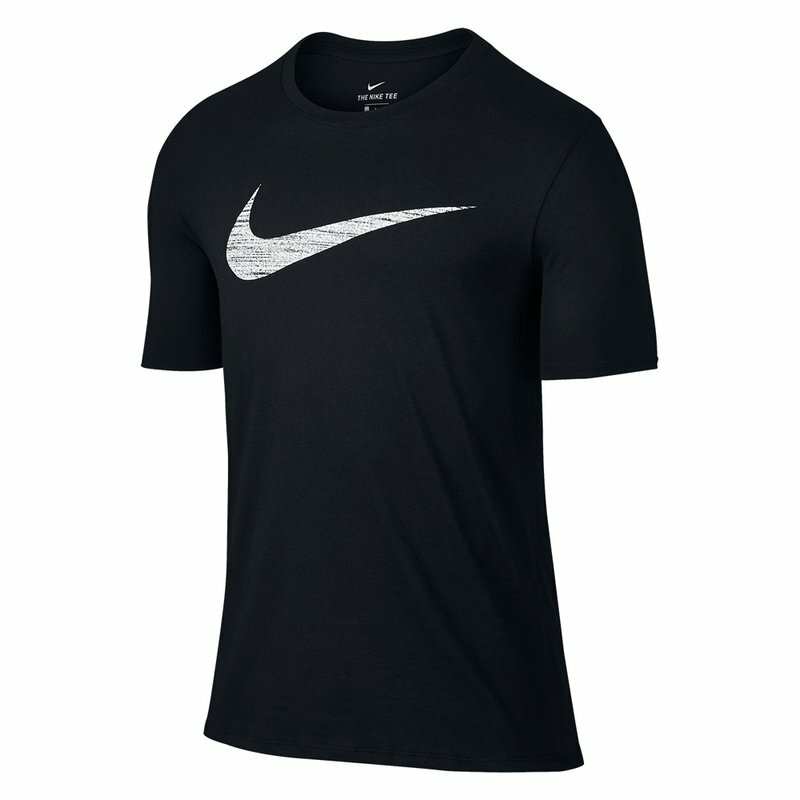 The Men's Nike Dry Swoosh Training T-Shirt features sweat-wicking technology and a durable, ribbed neck to help keep you comfortable while your workout heats up. 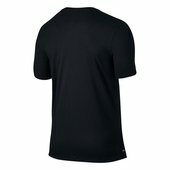 Ribbed neck band enhances durability. 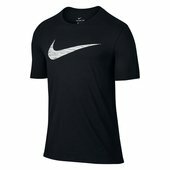 Swoosh design trademark is screen printed at the center front.